Above: Top Attorneys honored at Regionals: (L to R) Coach Jason Whatley, Agathos senior Luke Worsham (1st), sophomore Ella Seago (3rd), Coach Cory Ricci. Watch Agathos win the 2018 TN State Championship Round! 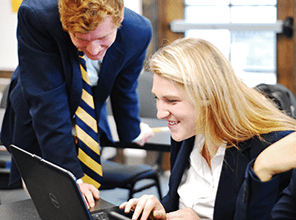 News following Agathos’ win at Regional Mock Trial Tournament (March 2018): Agathos Classical School will advance to the TN State Mock Trial Tournament for the third consecutive year. Maury County was well represented by sending five of the seventeen high school teams who competed in the District 11 Competition held March 3rd at the Williamson County Courthouse. Agathos fielded two teams, the Iliad and the Odyssey, who placed first and fifth. 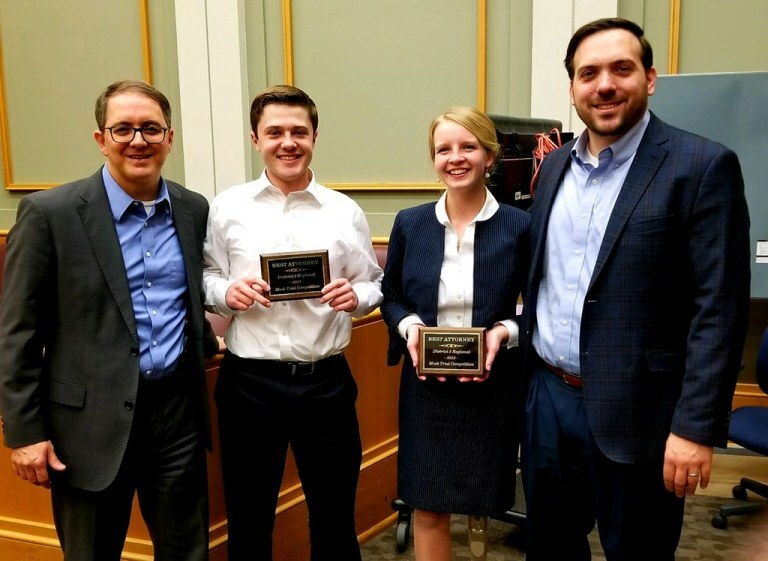 Agathos students also received three of the five individual Top Attorney awards; Luke Worsham (senior) won first, Ella Seago (sophomore) placed third, and Josiah Burns (junior) was recognized with an Honorable Mention. Franklin High School, placing second, will also represent District 11 at State this year. 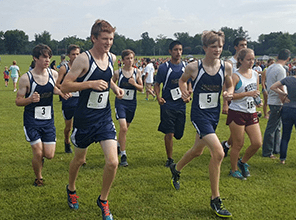 Columbia Academy participated with two teams and Spring Hill High School sent one. 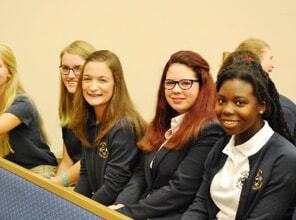 Tennessee High School Mock Trial is service project of the Tn Bar Association’s Young Lawyers Division. Students prepare as witnesses and attorneys to play both prosecution and defense in a fictional case. Which side each team will play is drawn just before each round of competition. In this year’s case, an injured protester sues a city for negligence following injuries which occured when a protest, a counter-protest, and eclipse all occurred concurrently. 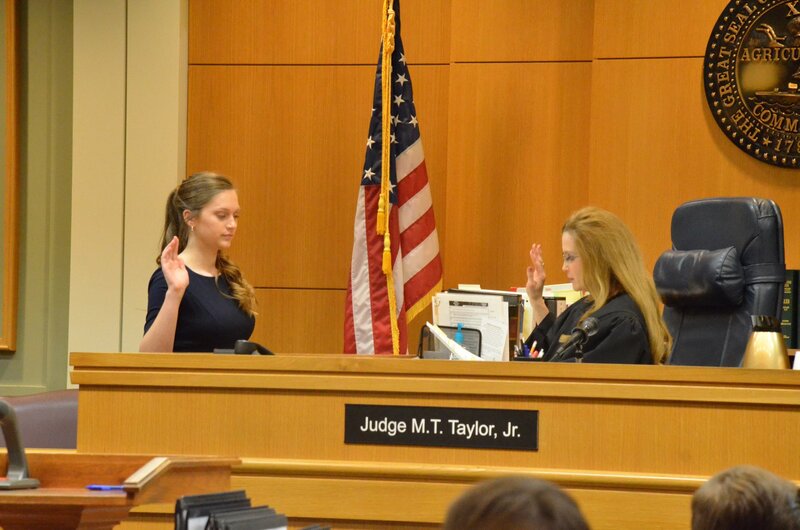 Mock Trial combines strategy, rhetoric, and drama in a competitive court environment. Sitting judges volunteer to preside over the hearings and active attorneys make up the juries who score each round. 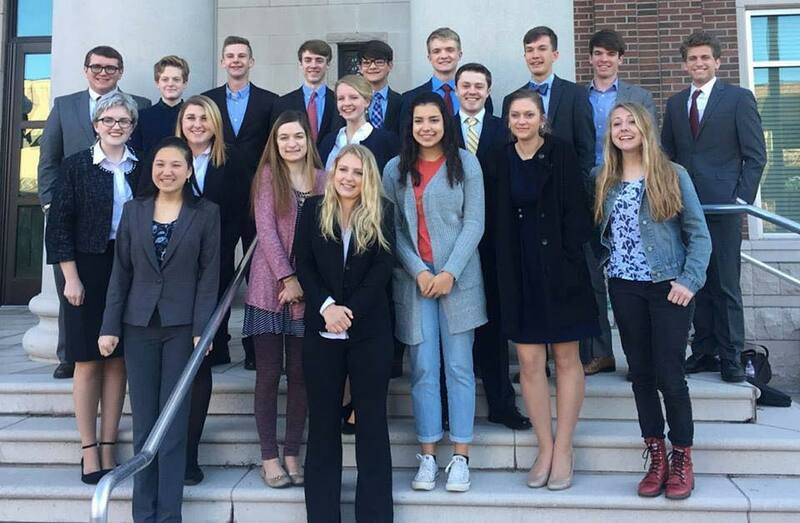 Tennessee’s 2018 State High School Mock Trial competition will take place March 23-24 in Nashville. The team who wins will represent Tennessee at the 2018 National Competition in Reno, Nevada, on May 10-13. Fans can follow tweets about this exciting competition using the hashtag #tnmock18. Agathos 2018 Mock Trial Team: (L to R back row) Carter Powers, Samuel Gee, Asher Black, Levi Pettit, Matthew Whatley, Samuel Whatley, Josiah Burns, Ethan Seago, Luke Epley (middle row) Evelyn Marcrom, Katie Owens, Macy Kaylor, Ella Seago, Adriana Baena, Luke Worsham, Rebekah Epley, Fern Greene (front row) Annie Kelley, Melina Black.